Hope you are enjoying your week so far. Happy HUMP DAY! It is another Wonderful Wednesday here at CWC! It’s another great challenge! Get your Cricut out and let’s see what kind of adorable projects you can create using this theme! Here is what our UBER talented Design Team came up with for your inspiration! Be sure to head over to Gaby's Blog for more details on this beautiful card set. 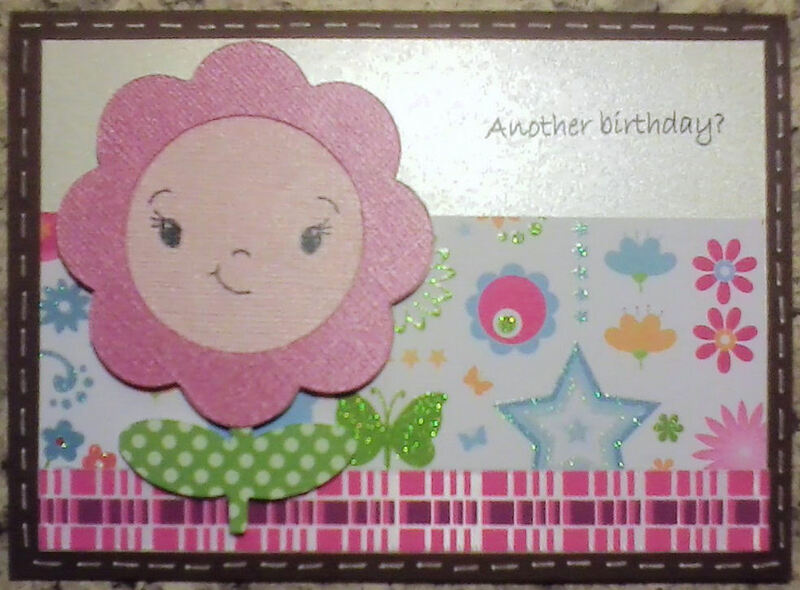 Be sure to stop by Dalis's Blog for details on this beautiful card. Be sure to head over to Nicole's Blog for details on this adorable card! Visit Stacey’s Blog for more details on this adorable set! 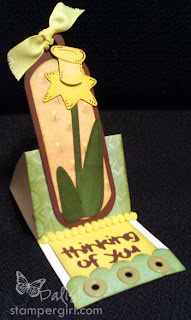 Visit Jenny’s Blog for more details on this adorable card. Visit Jen’s Blog for more details on this pretty, pretty layout. Visit Jean’s Blog for details on this great project! 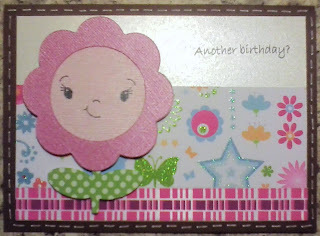 Visit Madison’s Blog for more details on this adorable card! Visit Melissa’s Blog for details on this TURTLERIFFIC Project! 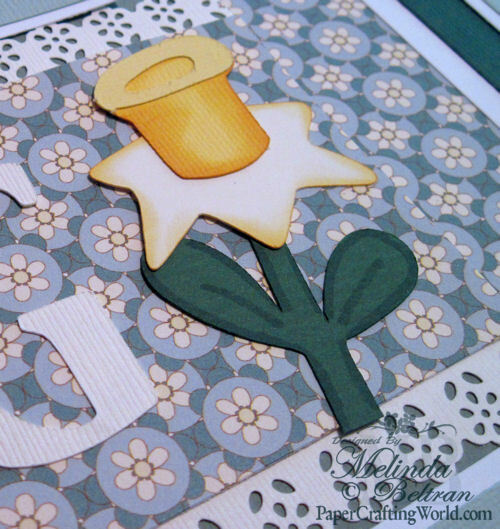 Visit Roberta’s Blog for more details on this precious card. Visit Maria Elena’s Blog for details on this Mother’s Day Beauty. I used Base Camp and Walk In My Garden to complete this layout. Here is a close up of one of the flowers from Walk In My Garden. Here is a layout I created for this challenge. I realize it doesn’t look as “Springy” as it really is. It photographed darker. The pink is a light pink. This is one of those layouts I like to call a “One Hit Wonder” In other words, all the flowers, leaves and sentiment came from one cartridge. The cartridge was the Bloom Lite Cartridge. This also fit nicely into this week’s Cricut challenge at Simply Scrapping. Be sure to head over there and enter in the Cricutlicious fun there too! Okay craftonistas!!!!! it is your turn! Let’s see whatcha got!!! Enter your project through the inlinkz link below. You MUST use your Cricut or other die cutting machine in some capacity. You must post a new project with a link back to this challenge. No back dating please. You must follow the theme: Spring Flowers. As always, thank you so much for joining us here! We sincerely appreciate it! Great projects, as always, ladies! Melin, I love your layouts -- so fresh and "springy." These are fantastic! I love the spring signs and that adorable gift box those are great! Love the projects. Each on is fabulous. Now I just need to figure out my cricut and make some of these. wow ladies, super duper amazing! Wow, all these projects are just so fabulous!!! Very inspiring work! Love the DT's projects...such a variety of flower die cuts! Thanks for the challenge! Great job by the DT! Thank you for the fun! Great challenge -- so springy! Thanks for letting me play. What amazing projects! Our flowers are finally starting to bloom. I just love this time of year! Wow!! These DT projects are beautiful! I had to wait until today to link my project! I was sick and didn't get much crafting done last week, so I had to be creative with my projects! Thanks for the inspiration!